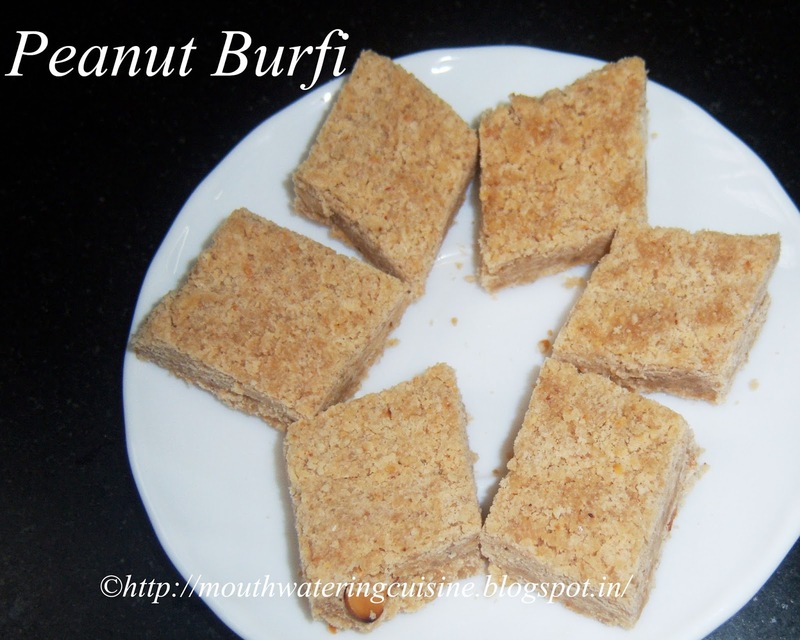 Peanut burfi, is a very simple sweet. When I came to my in-laws house first time, my MIL made this sweet specially for me, as I have sweet tooth. 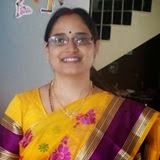 She was such a nice lady, always used to make something special for me in my early marriage days. Coming to this dish, a very simple and no non-sense sweet. Any one can make it, any time. There is no chance of spoiling it, unless we burn peanuts. Only two ingredients required to make this sweet. 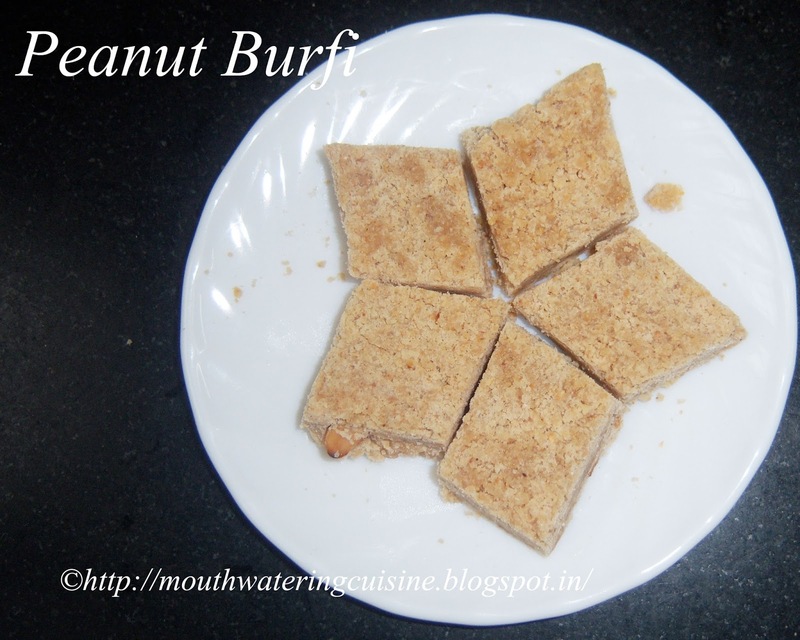 A small activity involved in it like, roasting peanuts, removing its skin, making powder of them and making sugar syrup and mixing peanut powder with it, spreading it on to a plate and making burfis. Heat kadai in the high flame, once it is hot enough add peanuts and reduce the flame to low. Roast them continuously till the aroma comes out. Dry roast peanuts till they turn light brown shade. Do not burn. Allow them to cool down completely, remove the skin by rubbing them between our hands. Make coarse powder of it. Do not blend it too much. Powdering is a little tricky job, if we run blender too much they will become oily, so be careful while blending them. Heat ghee in the same kadai, add sugar and a little water. As little as three to four tablespoons only. Stir continuously till the sugar melts. Sugar should melt and let bubbles form. If we drop of sugar syrup in cold water it should become thick. Add powdered peanuts and stir continuously. Stir it till the mixture leaves out the kadai. Apply ghee to a plate and pour this mixture on to it. Cut them into desired shapes. Serve peanut burfi any time. Once cooled completely store it in an air tight container.